From healthcare, to education, to social justice – the Sisters of Saint Joseph are being recognized for their good work in the local community and beyond. 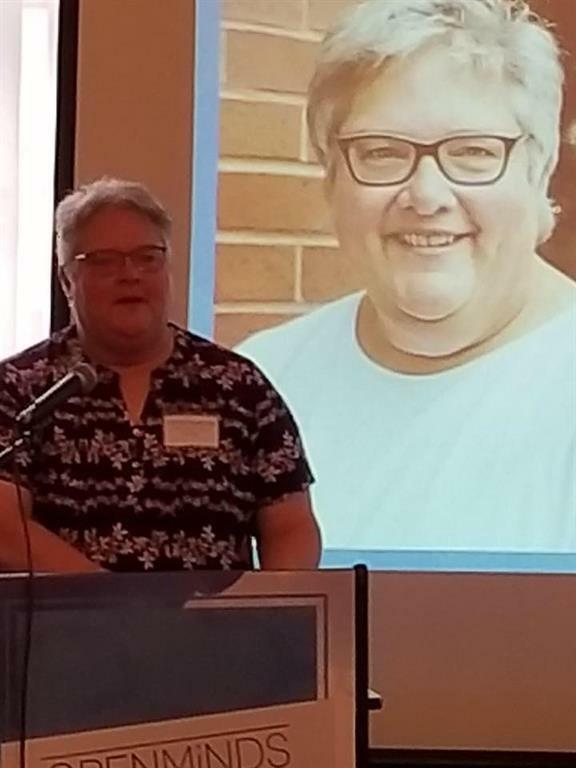 On Friday, May 11, Sister Christine Wagner, Executive Director of St. Joseph’s Neighborhood Center, received the Dr. John Romano Award from the Mental Health Association. The award honors a person, group, or organization whose contributions have enhanced the lives of individuals with mental illness, their families, and their communities. Sister Christine and the SJNC staff, were recognized for their work in advancing mental health services for those living in the city of Rochester and the surrounding areas. Sister Sheila Briody, who is the Co-Director of Counseling/Community Works at the Center, was the recipient of the John Romano Award in 2004. Sister Diana Dolce, Executive Director of Hope Hall School, received the prestigious Rochester Women’s Network “W” Award during a dinner celebration on Tuesday, May 15. The award is given annually to a woman who goes above and beyond the day-to-day expectations to support the personal and professional growth of women. The honor came just days after Sister Diana was presented with certificates of recognition from the Monroe County Legislature and the Town of Gates, as well as the New York State Senate, in appreciation of her impact through her work at Hope Hall. Meantime, Sister Phyllis Tierney is one of two Weedsport Central School alumni receiving the 2018 Graduate of Distinction award by the school’s Alumni Association. Sister Phyllis, who is the Coordinator of the SSJ Justice and Peace Office, was nominated by her former classmates in recognition of her years of work towards social justice. She will be permanently honored at Weedsport Central School and publicly recognized during an Alumni banquet on June 16.